We can provide any hospitality business from pubs, bars, cafe’s and restaurants to hotels and football stadia, and who carry from 2 staff to 50000 staff, with their own online multi-functional Learning Management Platform and open access to our entire library of certificated courses. We can provide any hospitality business from pubs, bars, cafe’s and restaurants to hotels and football stadia, and who carry from 2 staff to 50000 staff, with their own online multi-functional Learning Management Platform and open access to our entire library of certificated courses. The platform has full management and reporting capabilities, a course building tool and communication features for complete company engagement. Manage staff performance from head office and unit manager level. You decide the level of control and who can add people, view or manage the platform. See in real time, staff progression through courses, results and certification withing the LMS. Create roles and course assignments with just a few clicks. 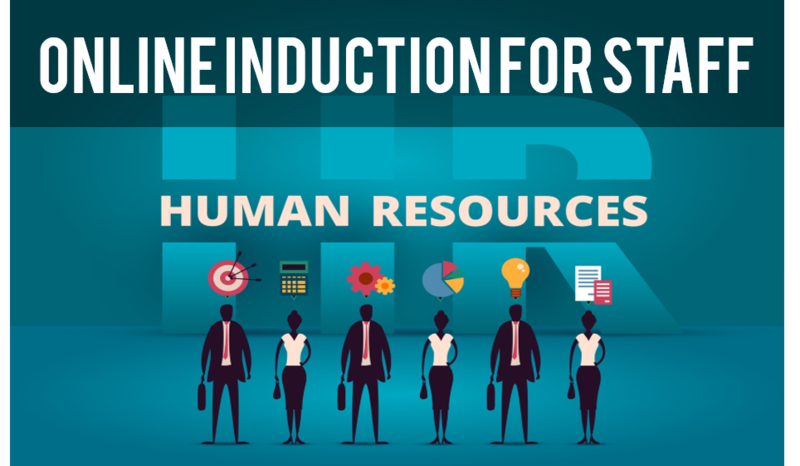 Our world class platform allows HR and training departments to create and add their own courses either directly in the LMS or to add Tin Can API or Scorm format courses built externally. Track staff progress, results, log in data and results. Download their certificates and get reminders when courses need to be re-accredited. Add or remove employees at any time, your subscription will be adjusted automatically. Whatever business or role you're in, click below to see how you can have your own staff training platform and course content for your single or multi-venue business. Find out how you could have your own Temp Agency Company Training Academy. Find out how you can even make a profit on it yourself. Our LMS is completely cloud-based which allows access to learning and reports anywhere in the world, at anytime 365 days a year. Created in Articulate Storyline, we publish in HTML5 to work across multi-platform devices including, PC, pad, Android, Apple and Mobile devices for learning either static or on the move. We only use professional voiceover artists to record audio in all of our courses. Recorded at our own studios, voiceover really makes e-learning come to life. All of our courses are written using the worlds leading authoring tools by our own Award-winning Instructional design experts. We don't create Powerpoint learning and call it e-learning! All of our courses and skillfully constructed to engage the learner through interactive quiz based. scenario learning. We provide thousands of certificates every year under our own CPD. Courses are written to follow the recommended learning outcomes, stipulated by the relevant authorities. Certificates are issued at the end of each completed course and can be viewed and downloaded by both the learner and company managers. Our Learning Management Platform (LMS) allows you to run e-learning across multiple sites, with individual managers overseeing their own staff and head office able to have a company overall view. Your own learning management system will mean your will never have to worry about staff compliance, on-boarding staff and induction. Never worry about having have another member of staff who hasn't completed courses that are relevant to their role and essential to keep your business compliant. We’re ahead of the game in front line staff Hospitality Training. Whist we provide unlimited access to many traditional, yet essential compliance courses, your company will be able to go beyond the ordinary and up-skill your staff with many more skill based learning modules. Check out Our Learning Platform. Our LMS is cloud based and delivers your staff learning on any device, at any time, anywhere in the world. Adding staff is simple allowing them to gain access using their own username and password. We'll start you off with over 15 Hospitality Courses, already built and ready to go with unlimited access. Our current growing suite of courses are available for unlimited access for companies on our platform, or available to purchase individually by companies for their staff or for people who just need access to selected modules. Click each course below. Level 1 basic first aid is ideal to give all of your staff or an individual, basic insight into first aid at work. Do you know how to price a product? Learn the difference between GP, GP% ns cash profit, how they affect your cash flow and profit. Without first-class customer service, you may as well close today. See how you can become service-centric and deliver a top class service all of the time. Learn about inclusivity in the workplace, one where difference is never an obstacle to getting a job or furthering your career. See how to treat people equally regardless of age, race, sexuality, gender, disability or culture. Learn to minimise the risk of fire in the workplace, it is vital that everyone is aware of the common causes of fire and the appropriate actions to take in the event of a fire, including how to escape safely from the scene. This course will give you the knowledge required to implement, and understand how allergies impact on your place of work and what you are required to do to comply. The course is a professional Level 3 Highfield qualification for kitchen managers. The course will familiarise you with the importance of health and safety, what your employer’s duties are, the risks that you may face, and the arrangements and procedures your employer should have in place. This course is aimed at staff who might have to use a ladder at their place of work for their day to day activities and need to know how to use them safely. Take the both APLH course and exam at home or at work without the need for an all-day course. Full qualification we provide 1 in 10 of every license taken in the UK. The Level 1 Responsible Alcohol Retail Course (On Trade) is an absolute must for any member of staff who intends to serve alcohol. Failing to train your staff adequately leaves you vulnerable to prosecution, an unlimited fine and the possible loss of your licence. As part of managing the health and safety of your business, you must control the risks in your workplace. To do this you need to think about what might cause harm to people and decide whether you are taking reasonable steps to prevent that harm. This is known as risk assessment and it is something you are required by law to carry out. This short course will explain what you should and shouldn't be posting on social media when it comes to your place of work and how what you do post, could have a detrimental effect on your job, your position or your company. We have many small and large companies and hundreds of individuals who use our courses every year, and every one is as important to us and the other. We've been on the platform and have increased our staff numbers as our business has grown. We use all the courses and an amazing Induction course build bespoke for us. Training your staff can only assist your business to become successful, save you time and money and the peace of mid you need. Allergy Awareness Certificated Courses For Your Staff.